Photo Credit: AFD’s Facebook page; Cai Radleigh, Shannon Cheong and cast. Disclaimer: Queen of the Geeks, Kitty Drexel is involved in this production. The following review takes this into consideration and was written and edited accordingly. (Arlington) Adaptation is an odd and fickle creature. In the rash of non-musical-movie to Broadway adaptations that have hit the theatre scene over the course of the last five or ten years, we’ve seen everything from Julie Taymore’s travesty (Spiderman: Turn off the Dark), to the possibly better-than-its-source Spamalot. All the info you need and more can be found HERE. 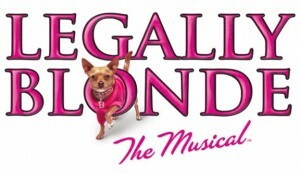 Legally Blonde, music & lyrics by Laurence O’Keefe and Nell Benjamin, book by Heather Hach, North Shore Musical Theatre, 11/1/11-11/13/11, http://www.nsmt.org/index.php?option=com_content&task=view&id=947&Itemid=2283. 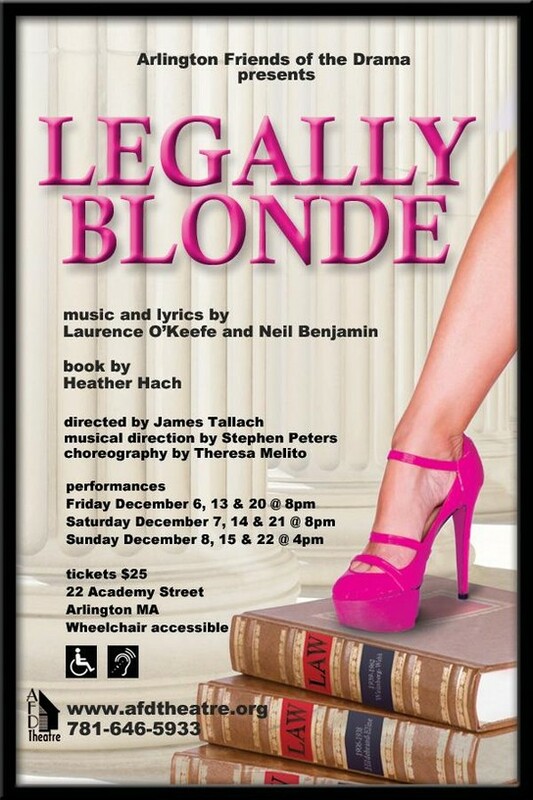 Do you want the long review or the short one for Legally Blonde: the Musical at the North Shore Music Theatre? I gave a standing ovation to a bulldog, the first creature to come out for curtain call. Go see this show!